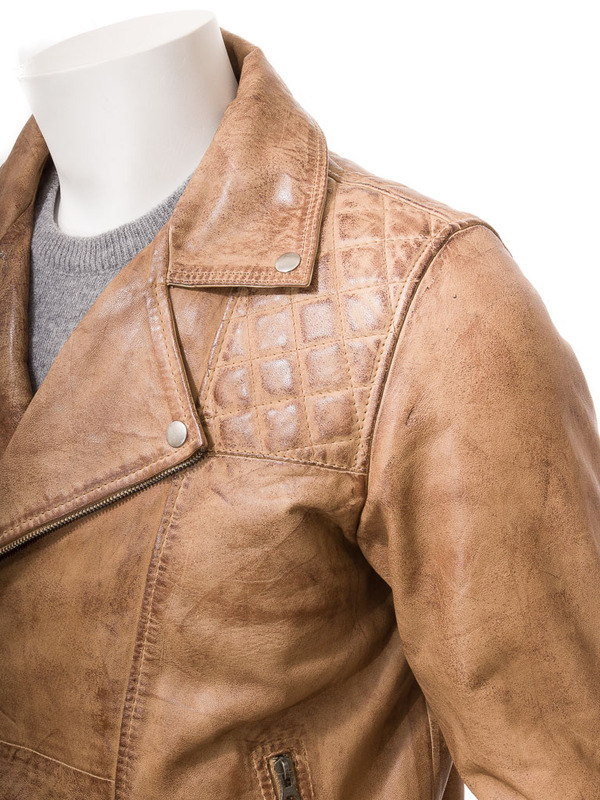 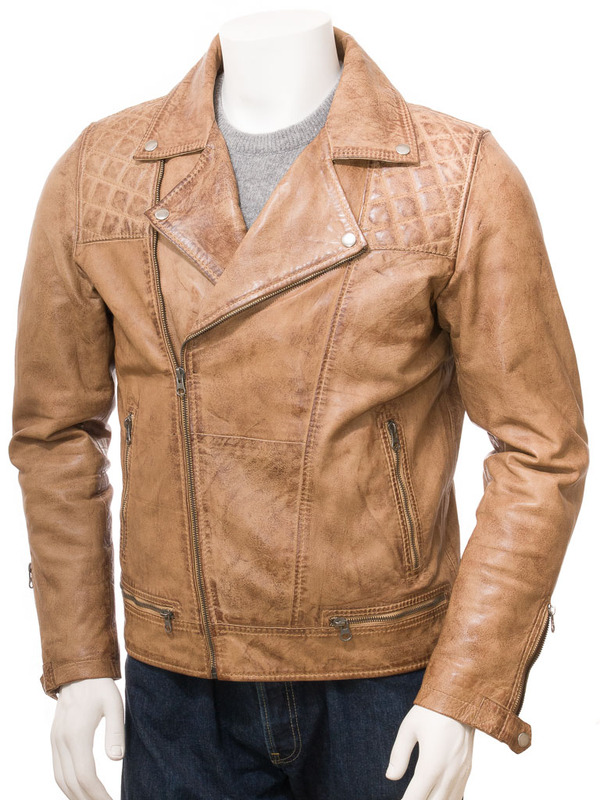 A tough, tan leather biker jacket in a soft and supple sheep nappa hide. 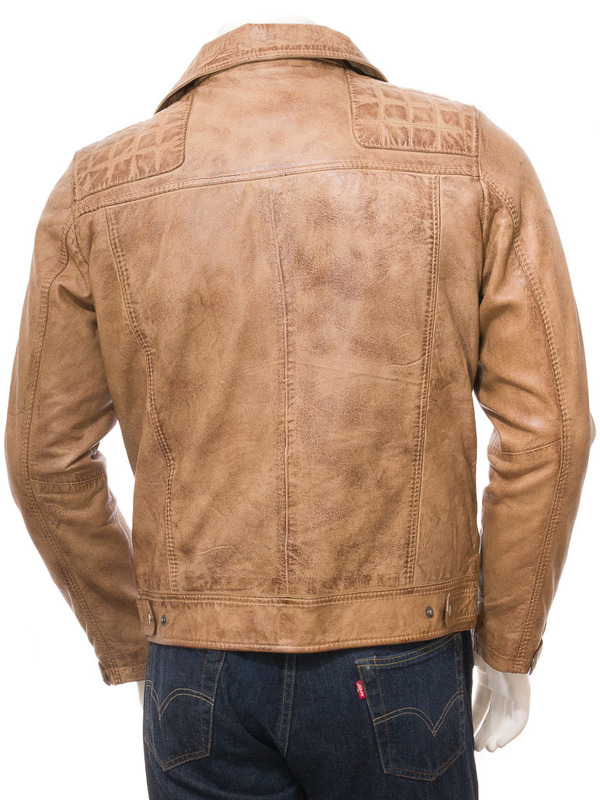 This style with its asymmetric zip and wide lapels has been around since the 1940's. 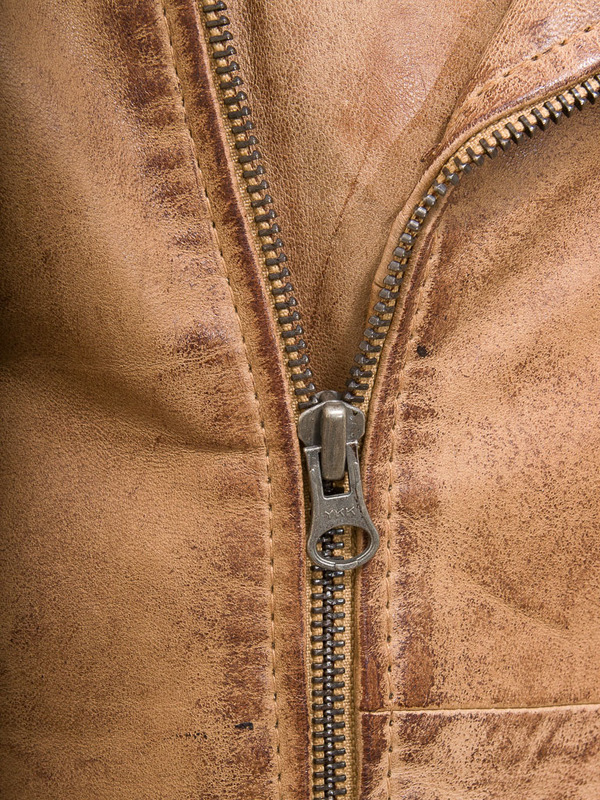 The zips are chunky YKK while the press studs are aged gunmetal. 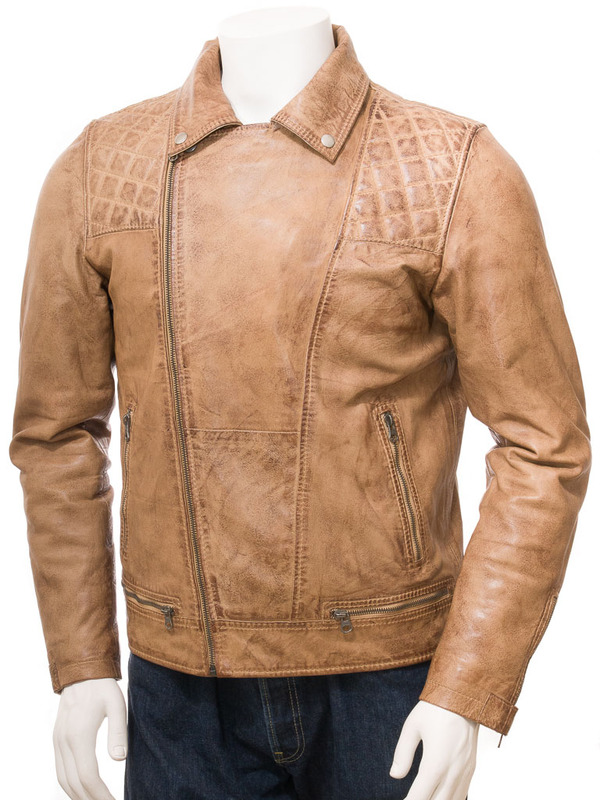 Quilt detailing on the shoulders panels are a new feature this season while the small zipped ticket pockets and gauntlet cuffs are true to the original.